Download ePipes Free - Bagpipes Drones free via AppsHawk. ePipes Free is a tunable, authentic sounding set of Scottish Highland, Border Pipes, and Smallpipes drones. 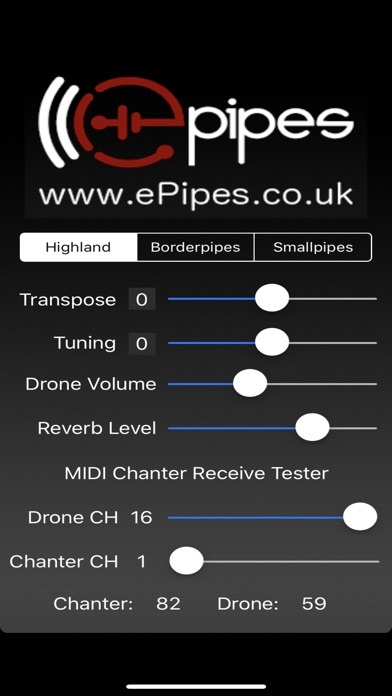 This app is for musicians who are learning to play the Scottish bagpipes and want high-quality sets of tunable drones to play along with on their practice chanters. 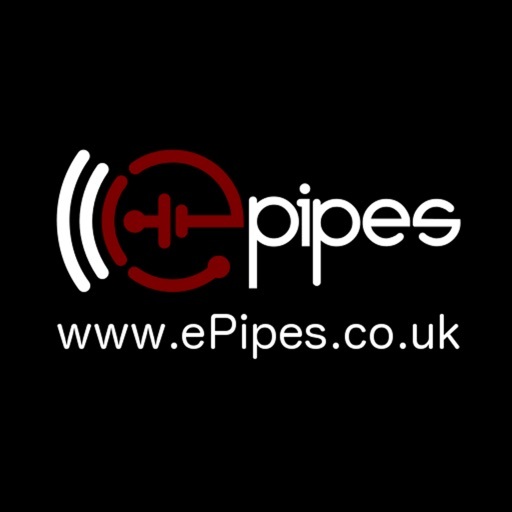 The sounds are provided by ePipes.co.uk in Glasgow, Scotland, from extremely high-fidelity studio recordings of three very fine instruments. Touch the ePipes logo to switch the drones on and off. Select the drone type using the drone selector. Available drone types are Great Highland, Border, and Smallpipes. Set the volume using the Drone Volume slider. The pitch may be transposed in semitone increments +/- one octave in using the Tranpose slider. The Reverb slider sets how much reverb effect is added to the sound. All settings are saved when the app exits and restored the next time it is run. Test your MIDI Chanter by setting the MIDI channels for the chanter and drones channels. Any MIDI Note-On message note numbers received on those channels will be displayed at the bottom of the screen. This value can be used to determine the MIDI offset value from 67 for the chanter in my other MIDI-enabled apps that default to the Fagerstrom Technopipes standard of the bottom note being MIDI note 67 (G3) as a zero offset.